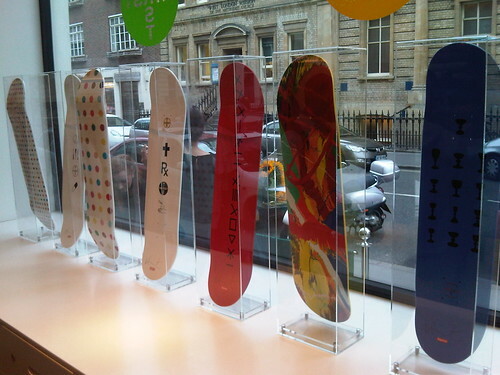 Damien Hirst’s board designs: MOR products of the YBA gift shop? 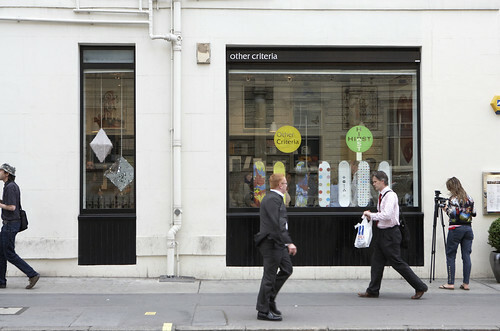 It probably passed most people by, but this summer saw a collection of Damien Hirst artworks go to market at London's Other Criteria store, Hirst’s personal outlet for his own branded product, writes Jez Owen. The event showcased 40 brand new and exclusive drawings by the artist and a number of limited-edition reproductions, but for a sale by one of the world's biggest (and richest) artists, the event was intriguingly low-key. Even more intriguing was the works’ substrate: skateboards (to be more precise, a limited-edition series produced by Hirst in 2009 for modish New York brand Supreme). The boards already feature Hirst's ‘spot’ and ‘spin’ paintings as their official graphics while the overlaid sketches now reference other famous artworks by Hirst. 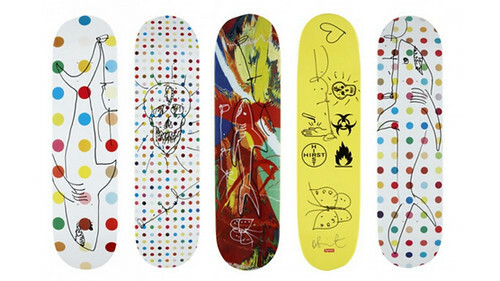 The 2009 models are a vibrant series, Hirst’s graphic artworks fitting the clean and bold graphic vernacular of street-based skateboarding, as expected for a brand emanating from a New York urban fashion boutique. The integrity of the original paintings is maintained. The new work is sketchy and irreverent, destroying any pleasing aesthetic found in the originals. That said, the plain boards’ success as product design provokes some unease. Skateboarding is all about ‘credibility’. To be taken seriously as a skateboarder, one should be immersed in the lifestyle. Within that mindset Supreme promotes itself as a ‘core’ brand – their product is of high quality, and they have constructed a brand image with enough savvy that the average skateboarding enthusiast does not seem to be ashamed to be seen with their boards. Hirst’s boards do not stand alone. Supreme offers a number of other pieces from other celebrity artists, illustrators, designer and skate-world luminaries. Even Lady Gaga has advertised for them, which (unusually for skateboarding) creates a mix of alternative and mainstream culture. It is hard to nail down exactly what the brand’s motives might be, but one can’t help wondering who approaches who. Given their prices, £4500 for a sketched version, £450 for a standard version, these could be said to not be real skateboards. There is more than a hint of cynical old Young British Artist trying to stay current by investing in easy reach cool. There are those that now see skateboards not just as functional items but as objects of beauty. It is not so unusual to see them hung as artworks on the walls of homes, design studios, bars, restaurants, clothing stores and so forth. They seem to have become another shorthand for urban credibility, derived from their status as totems of non-conformity and freedom of personal expression. One can’t help but think that if Hirst wished to revisit the shock factor of his early artworks, one way would have been to thumb his nose at the gallery culture and give these hand painted originals away free to riders to skate and destroy at their leisure. Alternately if Hirst wanted to try and garner some true skate-world credibility, then his time might have been better spent producing fresh work for board graphics that could be released through the usual industry channels. What we have instead seems to be some kind of MOR art stunt and / or an indication that Hirst is more than happy to exploit his crowd-pleasing work and create over-priced gift shop mementos. See also Emily King’s ‘Art and art direction’, about a collaboration between Hirst and designer Jon Barnbrook, in Eye 38. Eye is the world’s most beautiful and collectable graphic design journal, published quarterly for professional designers, students and anyone interested in critical, informed writing about graphic design and visual culture. It’s available from all good design bookshops and online at the Eye shop. For a taste of the new issue, see Eye before you buy on Issuu. Eye 80, Summer 2011, is out now. Eye 81 will be on press soon.